In Hollywood these days, marriages seem to last about as long as my manicures do. (Hey, I had a failed one once, so who am I to judge?) So, it’s refreshing when you see a couple who can count their decades together (instead of months together), like Tom Hanks and Rita Wilson. 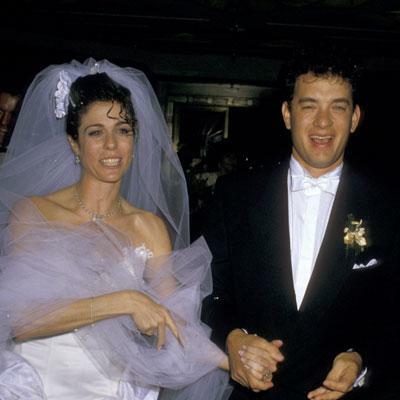 Hanks and Wilson were wed in 1988, after a brief courtship. She has said that she never knew what love was until she met him (even though she was engaged to another man at one point) and can recall the moment she fell in love with him (as they were holding hands on the corner of 58th and 5th streets in New York). Through the years, his Oscar acceptance speeches have turned both the audience (and Tom) teary-eyed when he acknowledged her, always saying that the reason he was able to identify with the characters he won for playing was because of the love they share. So sweet! I definitely just teared up!